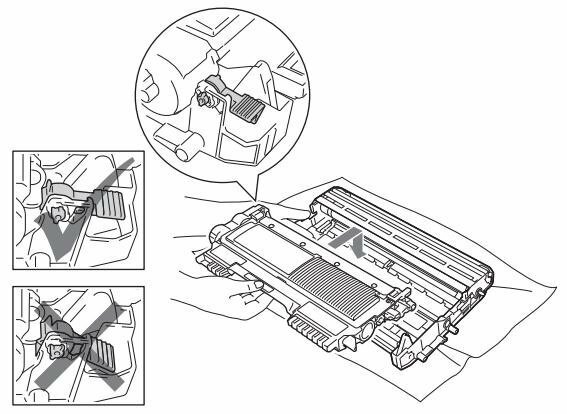 How to Reset Drum of Brother Mono-SFP? 1. 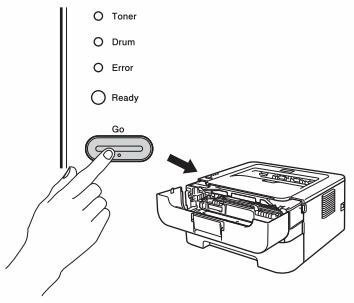 Make sure that the machine is turned on and the Drum LED is flashing. Leave the machine for at least 10 minutes to cool down. 3. 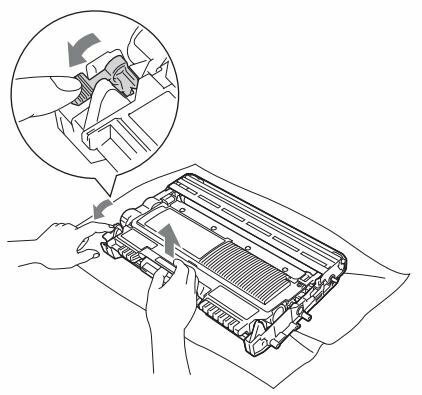 Take out the drum unit and toner cartridge assembly. 5. Unpack the new drum unit. 6. 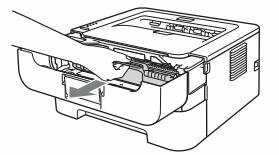 Put the toner cartridge firmly into the new drum unit until you hear it lock into place. 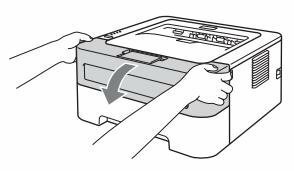 If you put the cartridge in properly, the green lock lever will lift automatically. 7. 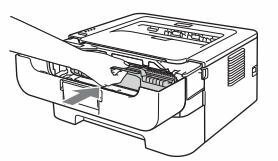 Put the drum unit and toner cartridge assembly back into the machine. Do not close the front cover yet. 8. Press and hold down Go for about 4 seconds until all the LEDs light up. Once all four LEDS are lit, release Go. 10. Make sure that the drum LED is now off.